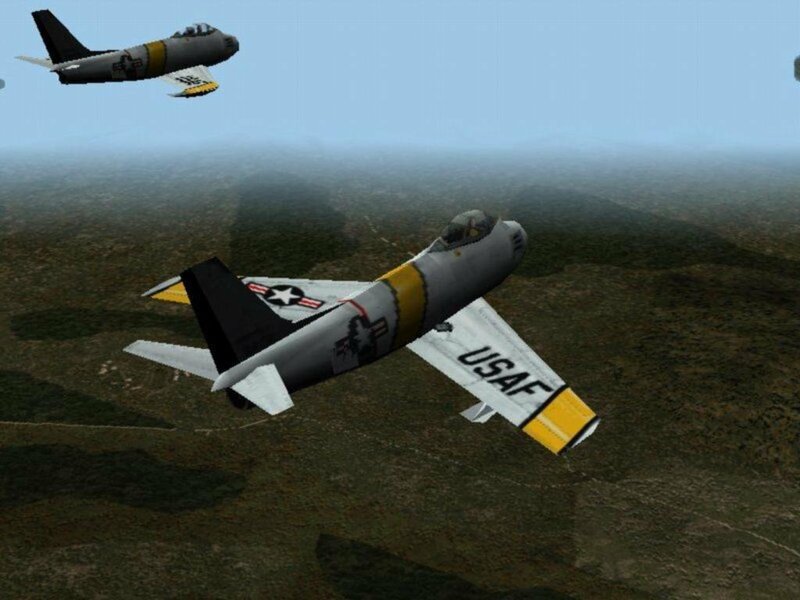 “MiG Alley” – that infamous corridor of airspace in North Korea where jet-to-jet combat came of age during the Korean War. 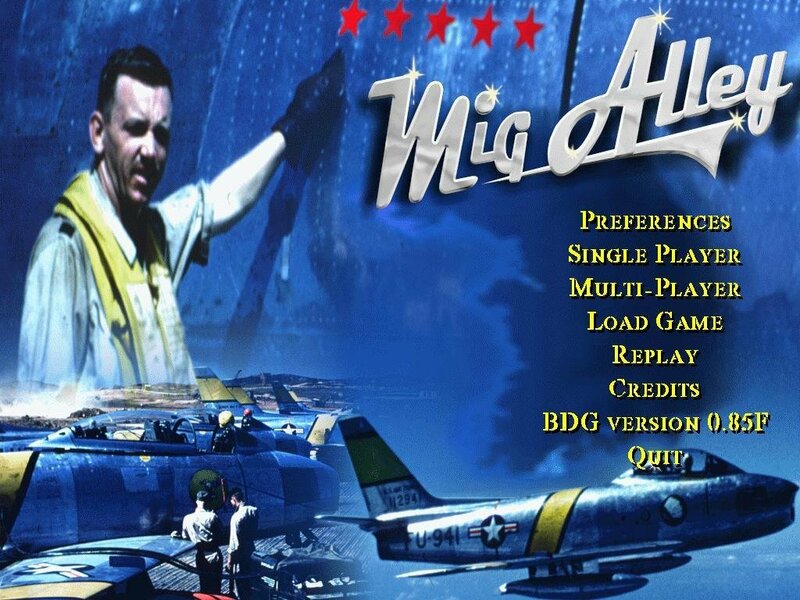 Despite its significance, few flight sims have covered it, starting with the arcade-like MiG Alley Ace of the 8-bit days to the arcade-leaning Sabre Ace. 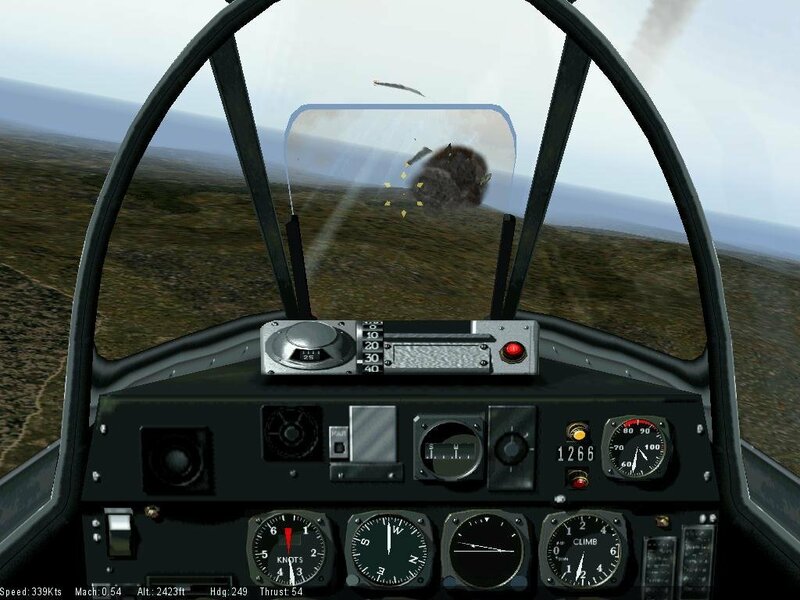 Developer Rowan has lent its own hand with MiG Alley, covering the first 12 months of the three-year Korean War. 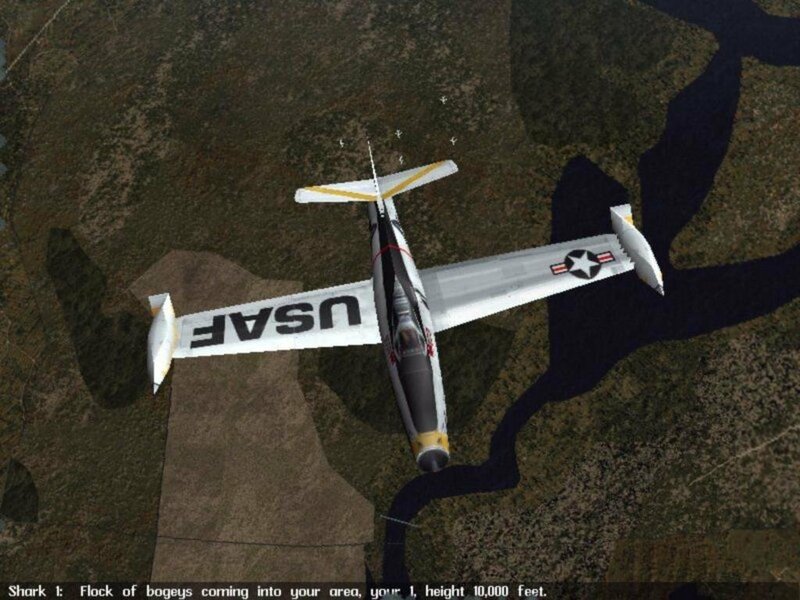 The game offers the wannabe fighter pilot the chance to fly the F-51 Mustang, F-80 Shooting Star, F-84 Thunderjet, three versions of the F-86 Sabre, and two versions of the MiG-15. There are four combat arenas, or modes of play. 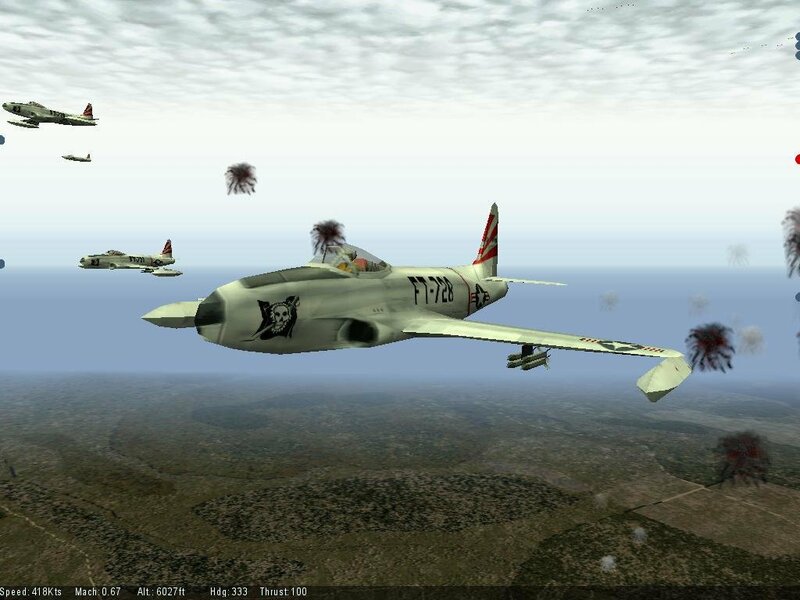 The first is a “Hot Shot” mission, a canned instant-action sortie. 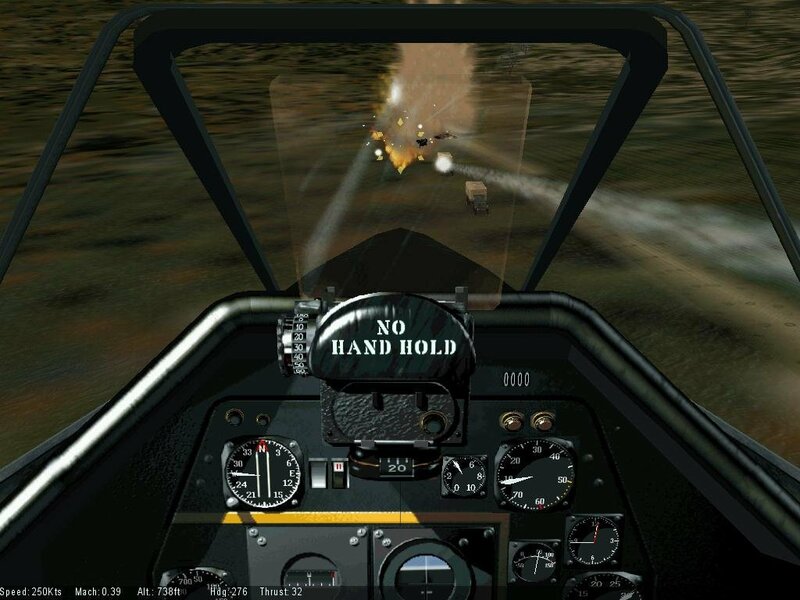 You’re a Flight Leader in the cockpit of a Sabre, and you’re escorting fighter-bombers along the Yalu River. “Quick Mission” opens up 16 scripted assignments to go through, while “Campaign” gives way to a chronological take on the war – specifically divided into localized conflicts. The AI is a mixed bag. While both friendly and enemy pilots can pull off some great maneuvers, the odd quirk rears its head every so often. In most of the “Quick Mission” fighter-bomber sorties, your wingmen acknowledge commands to regroup or orbit, but ignore the order, continuing to attack instead. Wingmen as a rule do not advise you when they suffer battle damage even after you check the formation’s status, so you must watch them constantly for black smoke trails. 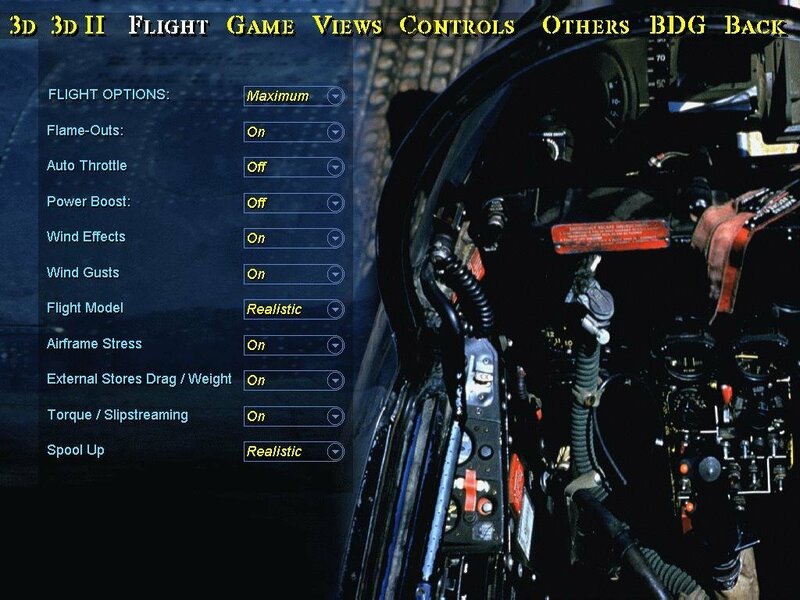 Other errors are more human-like and better reflect te way real pilots acted. Sometimes they hold their fire until they get to close range, and some waste their ammunition at long range. 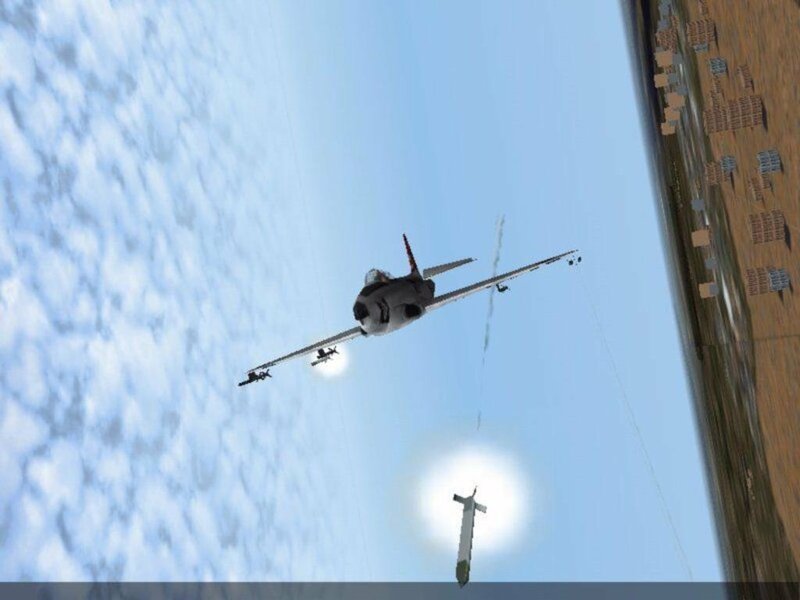 Bandits will use rolling maneuvers and attack with an altitude advantage. Often they will break off an attack to avoid hitting the ground. This is all historically accurate stuff. It is so cool to be canopy to canopy in a vertical rolling scissors with a MiG, praying that the MiG’s nose falls first. It’s great to see a MiG spinning out of control to a certain death only to see it recover and rejoin the fight. Visually the game is nice. You have to watch the geometry of the swirling contrails at high altitude to appreciate them. 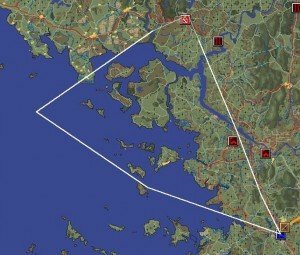 Watching wingmen actually bomb their assigned target and circle around to strafe on a different axis is amazing. Like Falcon 4.0, MiG Alley includes canopy reflections. These combined with the artificial stripes (those translucent white markings) assist your attitude awareness while you’re padlocked to airplanes or ground targets. 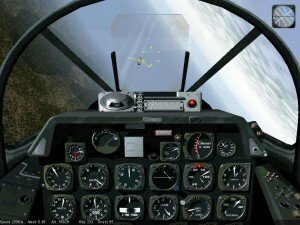 You won’t get brain or finger cramps trying to learn complex weapons delivery techniques. There are no heat seeking or radar guided missiles to worry about, while takeoffs and landings on pierced steel plank runways are an adventure. MiG Alley is stubbornly hard to run under any system that it wasn’t designed for, and at that it won’t even start unless you have a joystick hooked up with correct drivers and all. To this it may not be for everyone – or rather anyone – without a vintage rig, but get it running correctly and you’ll likely find it enjoyable. Is it possible To run on the windows 10? I do not succeding install it on windows 10.